GMP today announced it will be embarking on a $30 million expansion project that will create 76 new full-time jobs and lead to a 40% increase in annual production capacity over the next five years. GMP was successful in securing a $4 million-dollar loan guarantee from Jobs for NSW – a state government initiative that aims to create one million new jobs in NSW by 2036. This support has enabled GMP to secure a Commonwealth Bank Loan to finance the expansion project. In making the announcement today, GMP CEO Will Barton thanked the NSW Government for its support. “Businesses like ours need initiatives like Jobs for NSW to enable us to expand our operations, increase our capacity and generate new job opportunities for people living in regional areas,” he said. “The 76 new jobs that will be created as a result of this expansion project represent not only new job opportunities for our Gundagai residents, but for people in surrounding towns and those looking to relocate to this wonderful part of the world. “Our expansion project will also boost local spending by an estimated $3 million during the construction phase alone and generate ongoing stimulus to the local economy, estimated to be in excess of $150 million per year. “A project of this scale would not have been possible without the support of Jobs for NSW and I thank the NSW Government for this opportunity and for recognising the strength of our business model and our growth strategy. Mr Barton also acknowledged long-term client Coles Supermarkets. The two businesses have enjoyed a 35-year supplier relationship and it is expected that this expansion project will unlock new opportunities as the facility expands. Coles Managing Director John Durkan congratulated Gundagai Meat Processors on its $30 million investment in new facilities. The Barton family has been associated with the Gundagai meat industry for almost 100 years. From an operation initially processing around 100 lambs per week, GMP has gone on to secure major supply contracts, and today processes in excess of 625,000 lambs annually, making GMP one of the largest employers in the region. 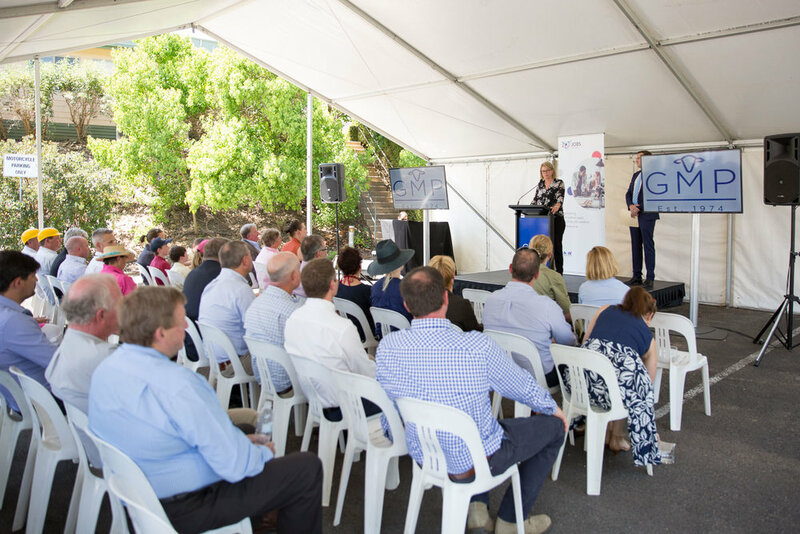 “Today marks another incredibly important milestone for our business, our family, our hardworking employees and for the community of Gundagai,” Mr Barton said.